Such a minimal sun today. 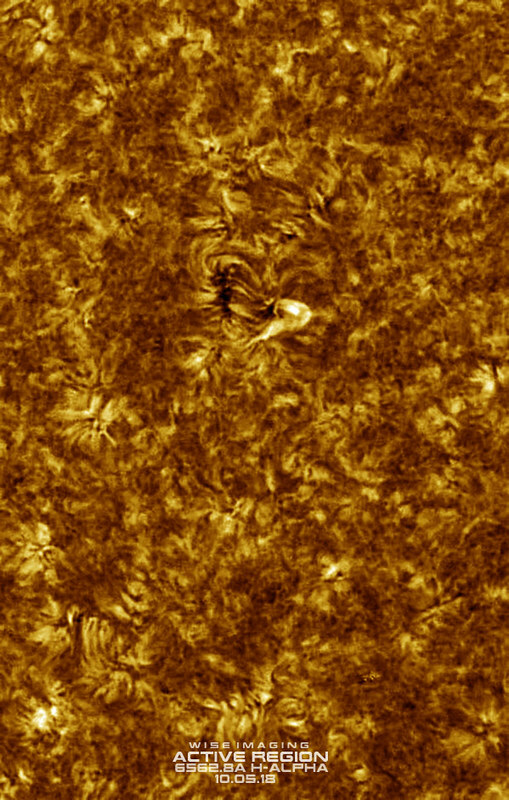 Prom & wee AR in HA, 120mm, Oct 5th 2018 - SolarChat! So quiet on the disc today, a very small new active region is visible and a little interesting, maybe it will develop into a spot, it does have some activity going on. 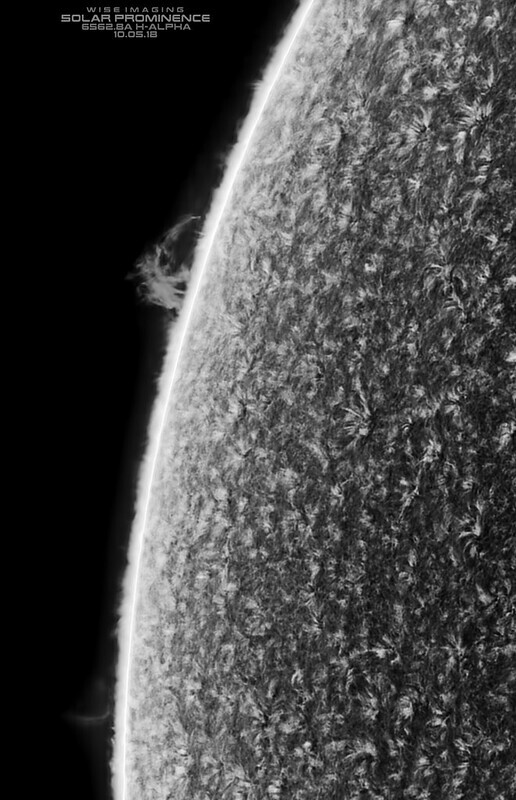 There's only one fairly large bright prom that is interesting on the limb. I had a little helper this morning, she's normally not even awake when I'm out there, but we've all been up since before the sunrise, so we're a bunch of loonies today. 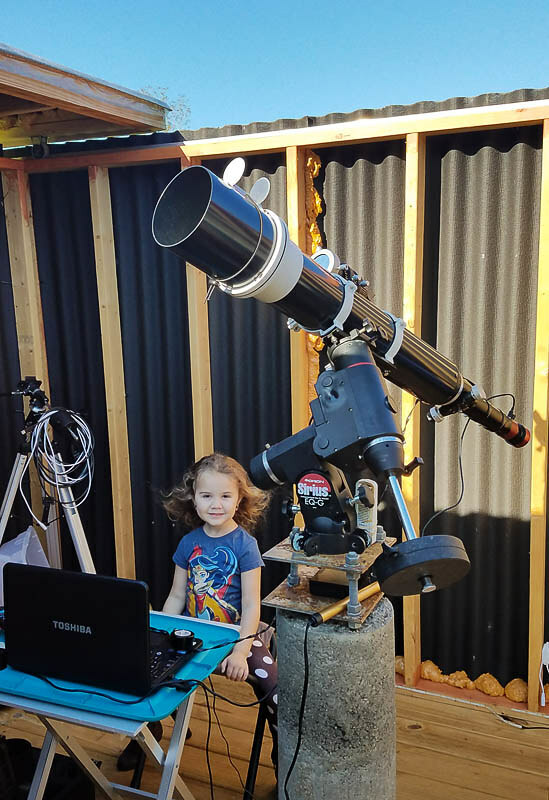 A nice set of images, Marty and it's good to see there's a budding next gen Astro physicist helping you out. Nice to see you pull out some detail despite the low activity!